Hello! I am sharing this card for Sweet Stamps using this new stamp set called Keep Calm. 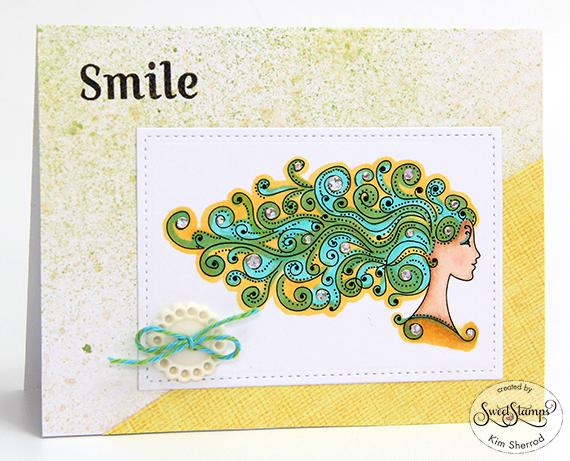 I love the serene look of the image and the flowing hair makes it so much fun to color. I used Copics and added yellow for a glowing highlight. I sprayed some splash ink to create the background. I then stamped the sentiment and added a button and bow. Please visit the SS blog for more DT inspirations and enter to win a fun prize.